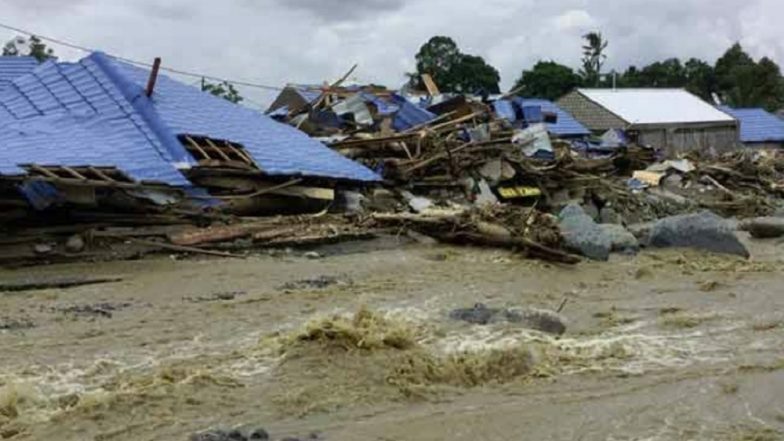 Sentani, March 20: The death toll from flash floods and landslides that tore through Indonesia's Papua region has topped 100 with dozens more still missing, the disaster agency said Wednesday. As teams loaded mud-caked corpses into body bags, the search for survivors was hampered by mountains of debris including rocks and fallen trees. Hundreds of homes, bridges, schools and other public facilities were destroyed. More than 2,300 personnel have been deployed to search for the missing victims and to clean up debris. Flooding is common in Indonesia, especially during the rainy season which runs from October to April. Lombok was rocked by several earthquakes last summer, killing more than 500 people and leaving over 150,000 homeless. And in September last year, the country was hit by an earthquake and tsunami in Palu on Sulawesi island which killed around 2,200 people.